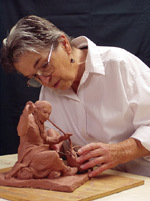 Artist modeling of the original figure about ¼ life size. 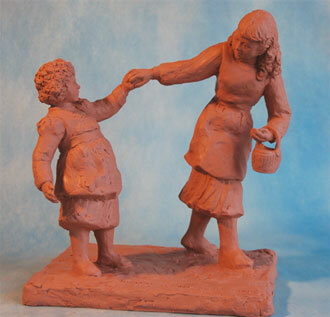 This is made with fine plasteline clay over sculptor’s armature wire, using special modeling tools. Production mold made at the art foundry.A special rubber mold, backed by plaster, of the original artist’s model. Hard copy taken from the production mold.this is usually plaster or resin. It may also be wax for casting a small bronze sculpture. Enlarging the figure. 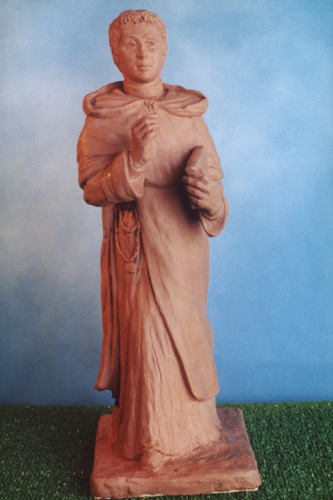 The hard copy of the small figure is scanned and enlarged to life size by computer. The enlarged figure is laser cut out of extruded Styrofoam. Life size Styrofoam figure is cut in pieces, packed and shipped back to the artist’s studio. The artist reassembles the life size foam figure and covers it with plasteline clay for the final sculpting process. Final sculpting process by the artist. 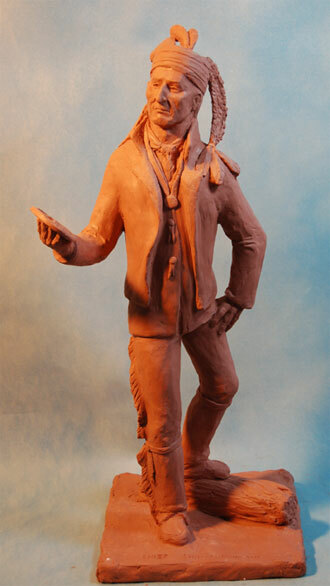 This is when the detailing of the portrait and character of the figure is completed. 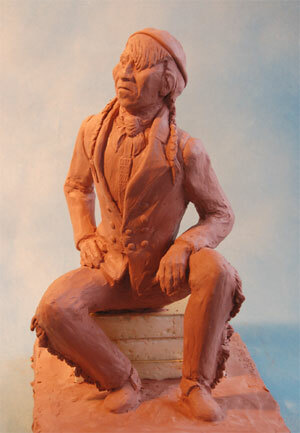 Final life size clay model is returned to the foundry. At the foundry the figure is sectioned off for piece molds. Each piece mold is painted inside with sculpture wax. There is a special wax for this purpose. The final wax impression is about ¾ inch thick. The wax impression is removed from each of the piece molds and attached to wax stilts called sprues. The sprues, in turn, are attached to a baseboard. Wax pieces on sprues are dipped in ceramic slurry. The wax is dipped and dried several times to ensure an even coating. Slurry coated wax pieces are placed into a kiln. The wax melts leaving the ceramic mold hollow. Bronze is melted in a crucible in the furnace.The bronze is melted to about 2,100 degrees f. while the wax is being melted in the kiln. The clean hot ceramic molds are removed from the kiln and placed upside down in a bed of sand. The molten bronze is poured into the ceramic molds. The crucible is lifted by special tongs and placed into the pouring bar. The crucible containing the melted bronze is lifted and carried to the ceramic molds in the bed of sand. Melted bronze is poured into the ceramic molds. Ceramic molds are removed from the bronze pieces. Bronze pieces are sand blasted to remove fire scale. Bronze pieces are trimmed and welded together to assemble the figure. 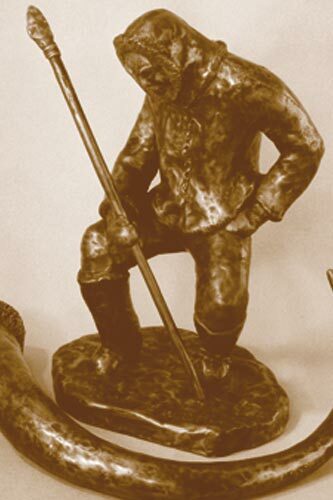 The bronze figure is polished and detailed. Patina is applied to the finished figure.This is a spray with different chemicals used for color. 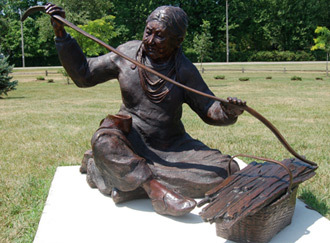 The finished sculpture is shipped to the Mississippi River Sculpture Park. This is a complicated process involving several people working many hours, days and weeks. There are also the costs of materials and tools, utilities and overhead. Bronze, for instance, goes up in cost every year. 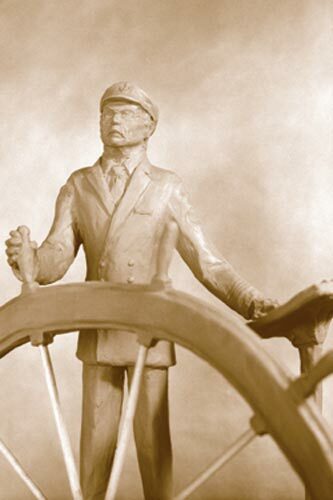 There is the added cost of shipping and insurance and the bronze nameplate installed by the statue. 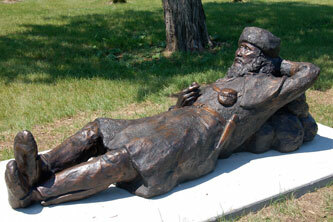 I use Vanguard Sculpture services in Milwaukee. I find it is the best art bronze foundry in the area. 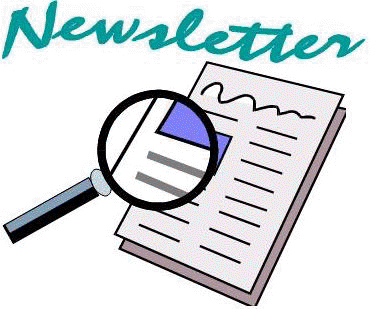 To pay for the sculptures it takes many people contributing small amounts and/or one person or organization contributing one large amount. Most often it is a combination of both of these. 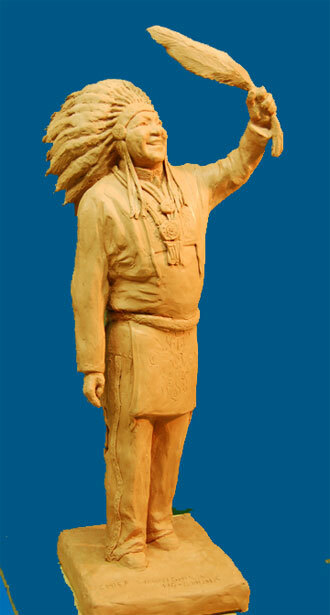 The whole process of making and installing a statue takes money, time and effort by many people. It is good to remember that they will stand in place for many generations to come. 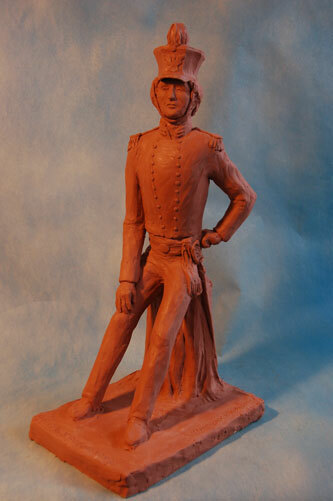 Please feel free to contact me with any questions about the making of these statues. 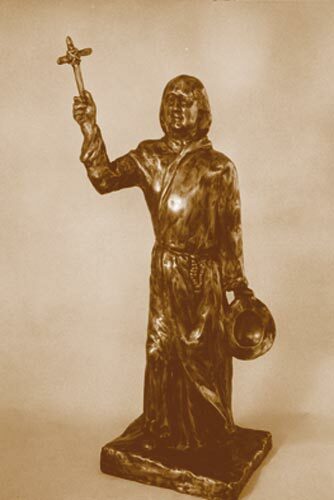 Currently, The Mississippi River Sculpture Park is raising funds for a bronze statue of "Aunt Marianne" Labuche. 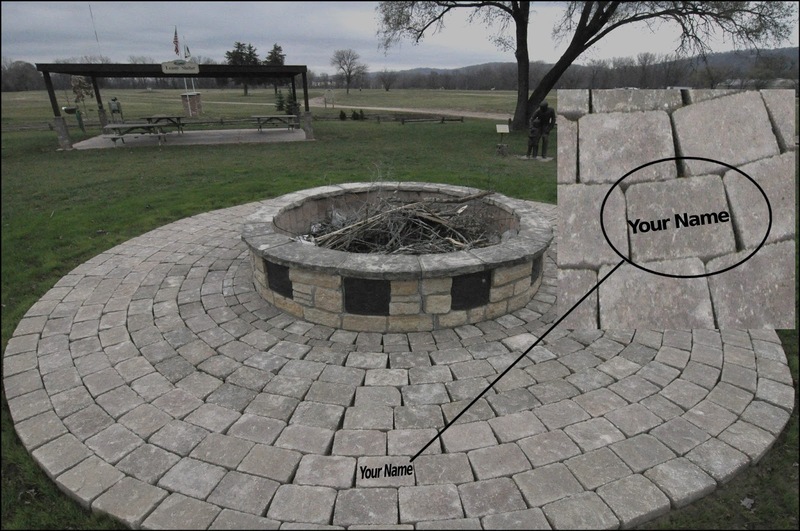 Fundraising is led by 501(c)(3) non-profit volunteers of Mississippi River Sculpture Park. Mariann Labuche, was the first person to heal the sick in Wisconsin(1). Her patients called her "Aunt Marianne". Labuche came up the Mississippi River about 1790. She married three times and was the mother of fourteen children. She filled a crucial need in the Wiscosnin frontier with her knowledge of herbs, midwifery, and Native American and folk medicine. Until a fort was erected in Prairie du Chien, 1816, and a surgeon arrived, she attended the sick and attended to them as a physician, and charged fees. After the Fort, she continued to practice among the people of Prairie du Chien. 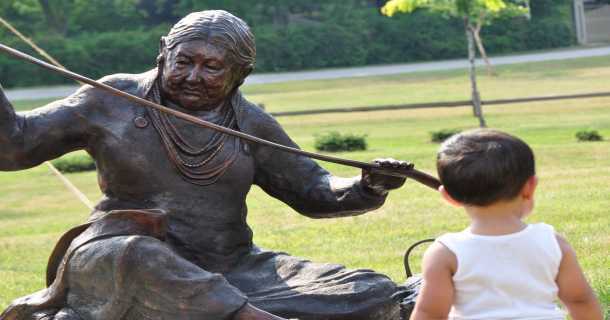 Her talents were put to the test on June 26, 1827, when her baby granddaughter was critically injured during an Indian attack. Labuche covered the exposed brain with a silver plate over which the skin healed. The little girls lived to be eighty years old. 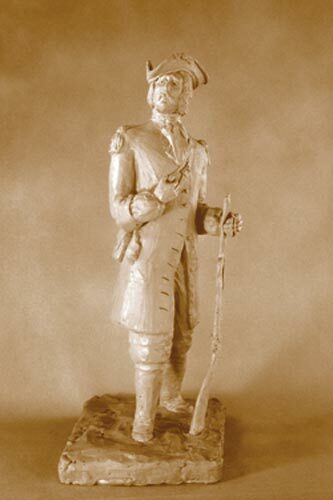 Zebulon Montgomery Pike, 1779 - 1813 In 1805, Lieutenant Pike and 20 men came from St. Louis to explore the Upper Mississippi River as official representatives of the United States of America. The Louisiana Purchase of 1803 had made most of the Mississippi and Missouri Rivers' drainage areas the property of the United States. There is debate about when he might have explored "Pikes Peak" in Colorado and when he was on the Iowa side of the Mississippi on the bluffs at what is now called Pikes Peak State Park. Pictured here as he might have been gazing from St. Feriole Island over to the bluffs across the river to "Pikes Peak", Iowa and in the direction of "Pikes Peak", Colorado. 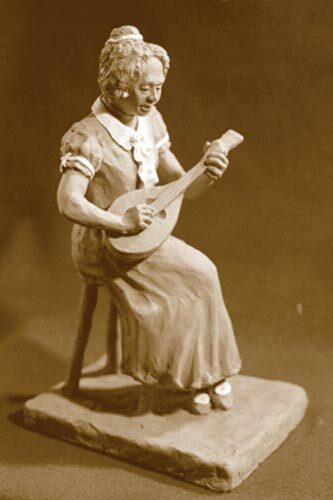 Minnie Owens, 19th C. Minnie Owens (born 1887), performed on the vaudeville circuit with the Kentucky Juvenile Minstrels and was known as Miss Minnie Owens - Wisconsin's Favorite. Nicholas Perrot, 18th C. After the French missionaries and explorers opened up the Great Lakes area to trade and settlement, France maintained a military presence there, manning a string of forts with men recruited from France's Canadian territories. 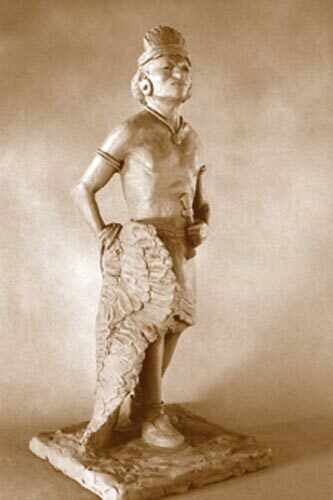 Mississippian, 13th, C. This figure is representative of a Mississippian man as he might have appeared at an early rendezvous at Prairie du Chien, coming from the Cahokia area farther south along the Mississippi River. Mississippi River Boat Captain, 20th C. Captain William D. Bowell, Sr., owner of the Padelford Packet Boat Company is seen here at the wheel of a riverboat holding a Mississippi River chart showing the channel at Prairie du Chien. He is one of the two most famous present day Mississippi riverboat captains. Mastadon Hunter, Circa 10,000 BC Recent archaeological digs have uncovered the bones of mastadons along with spear points, indicating the presence of ice age hunters and mammals in the Prairie du Chien area. The younger daughters of Nina and Hercule Dousman, shown as if they were coming from Villa Louis to join the picnic at the sculpture park. Jefferson Davis (1808 - 1889) was a young army lieutenant, a graduate of West Point, stationed at Ft. Crawford. 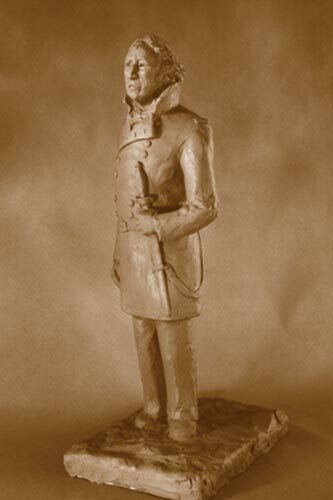 It was Davis who escorted Black Hawk to St. Louis, by river, after his surrender in 1832 at Prairie du Chien. Davis later married Zachary Taylor's daughter, served as a U.S. Senator and was the U.S. Secretary of War under President Pierce before becoming the President of the Confederacy in 1861 during the Civil War. Father Mazzuchelli, born November 4, 1806 is known in the tristate area for establishing more than 35 parish communities, designing and building more than 24 churches, and founding the Sinsinawa Dominican Sisters. John Paul II declared him "Venerable", the first step to saint-hood. Fr. Mazzuchelli's life and example continue to have meaning for people today. His commitment to justices for the oppressed, education, and responsible civic participation are relevant values for our time. Fr. Mazzuchelli was the architect for St. Gabriel's Catholic Church in Prairie du Chien. 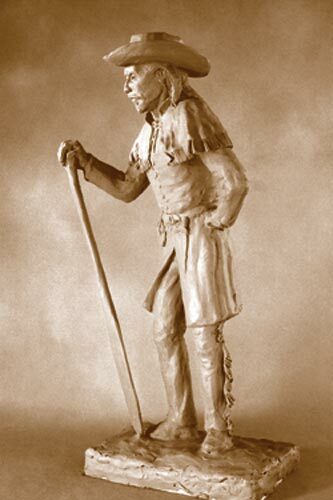 Father Jacques Marquette, 17th C. French Jesuit Jacques Marquette (1637 - 1675), able to speak six of the "Indian" languages, was a missionary and explorer who accompanied Louis Joliet on the 1673 expedition commissioned by the French King. They explored the Great Lakes area reaching the Mississippi, thus opening the area to French fur trading and settlement. 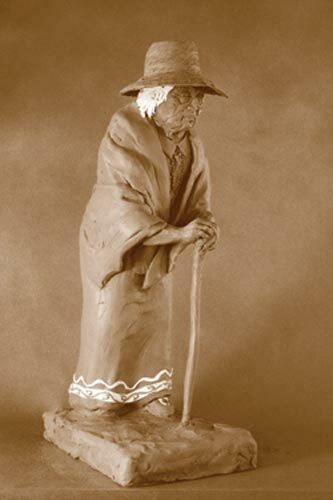 These woodland people called themselves Anishinabeg, "people", but the colonists called them Ojibwe or Chippewa, referring to those who spoke a form of the Algonquian language. They are still occupying reservations in Minnesota and Wisconsin. Tribal Elder Women like this woman are esteemed for their great wisdom. Waapasha's name eventually was popularized into Wabasha. He held a balance of power in the West during the last years of the revolution when the British tried to incite an Indian border war to divert some of Washington's troops. Wabasha successfully juggled both sides until peace arrived, then calmly claimed presents from both the British and Americans for not declaring war. General Henry Whiting in 1820 described him as "a small man with a patch over one eye, but who walked about with the air of an ancient king. 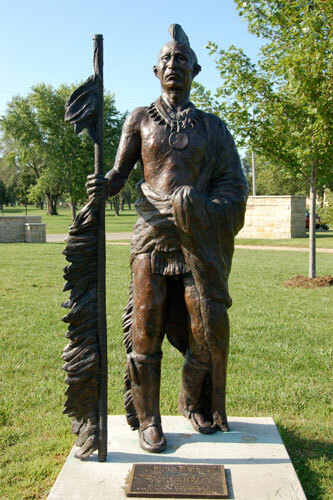 Present day Chief Clayton Winneshiek is a great grand nephew of Ho-Chunk (Winnebago) Chief Winneshiek who was one of the 19th century treaty signers in Prairie du Chien. 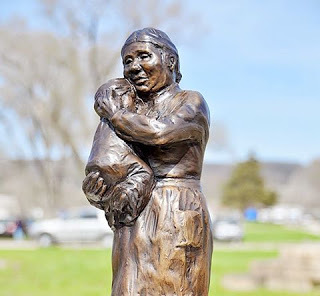 18th & 19th century, Prairie Du Chien's first Physician rescued and nursed her granddaughter, baby Louise Gagnier who had been scalped and left for dead. Marianne Labuche, was the first person to heal the sick in Wisconsin(1). Her patients called her "Aunt Marianne". Labuche came up the Mississippi River about 1790. She filled a crucial need in the Wisconsin frontier with her knowledge of herbs, midwifery, and Native American and folk medicine. Voyageurs were men hired especially to paddle the canoes and work on the long river trips that the fur traders, explorers and missionaries undertook. Most of these men were French Canadians, many of them familiar with the river ways and the frontier. They say that in order to create lasting memories, you must first pave the way. 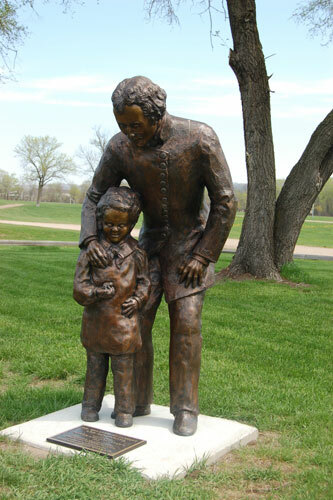 Each life sized bronze sculpture in the Mississippi River Sculpture Park at St. Feriole Island in Prairie du Chien, WI, are created to tell a story. 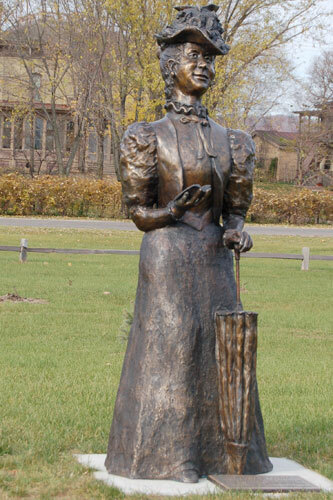 All of the historical sculptures have been visitors of the Prairie du Chien area. 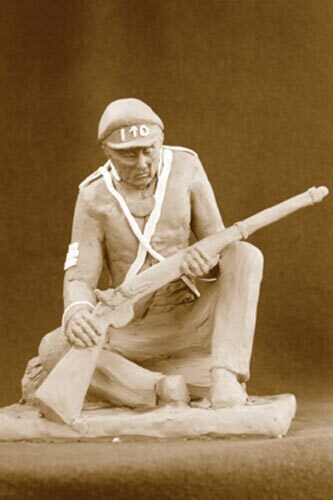 Each bronze sculpture was created by master sculpture Florence Bird. You, too, can help to preserve these stories in the hearts and minds of future generations. You have the unique opportunity to create a lasting tribute. Pave the way with a commemorative paving brick,.The individualized inscription on each brick can honor your children or grandchildren, an anniversary, or a in memory of a loved one. The lines of personalized text varies with the size of the brick. The Mississippi River Sculpture Park is a city owned park and open, free of charge, year round....The paving stone is placed around the Central Fire Circle. One line permanent inscription. $75.00 Cash or Check.